instantly send bulk text messages to large number of recipients simultaneously. Schedule Bulk SMS sending for particular date/time. Easy-to-setup automation/API. Use any sender ID depending for your campaign. For global reach and fast delivery, use our cheap bulk SMS service to raise brand awareness and notifications (Promotional SMS, Transactional SMS; OTP). Send personalized SMS, using your preferred sender name. 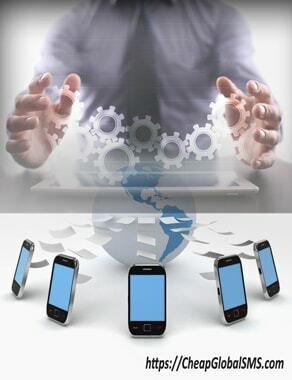 Integrate SMS into your own software, website or app. 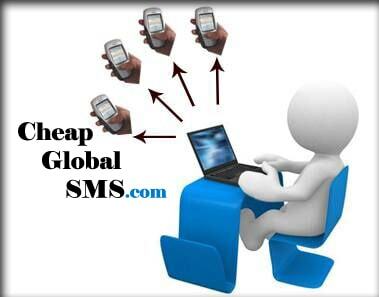 CheapGlobalSMS provides the most reliable and sophisticated SMS services on a very simple interface. Easily send SMS in Arabic, Chinese, Japanese, Russian... or any other language. Easily chat with our highly competent customer support agents live! Comprehensive SMS gateway API docs with tested and working samples. Forward incoming messages to your web-application for processing/auto-subscription. If dectected, your account may be temporarily or permanently blocked and you will forfeit any sms credits used for such suspended messages. Moreover, your contact information may be provided to the appropriate agencies for further investigation. "Hi, i assume ur computer still on sale? i'm interested! E'mail me directly on ...@....com to discuss payment." "Hi, wondering if ur camera/lens still up for sale on gumtree, pls email on ...@....com to discuss payment"
"Your ATM Card has been de-activated to re-activate your account copy this link www.cbnupdate.weebly.com after updating call our customer care 09099848481"
"Your account may be suspended and requires additional verification: http://commbank.cbasec.in"